CAMA students build confidence, focus, mental clarity and self-discipline. Practice makes everything easier; therefore, continued practice in these essential skill sets makes life easier. Building confidence in one area of life allows extrapolation to make everything easier. This happens because martial arts are so visceral. When a child develops the self-confidence to not be pushed around physically it becomes inherently easier to not be pushed around psychologically. 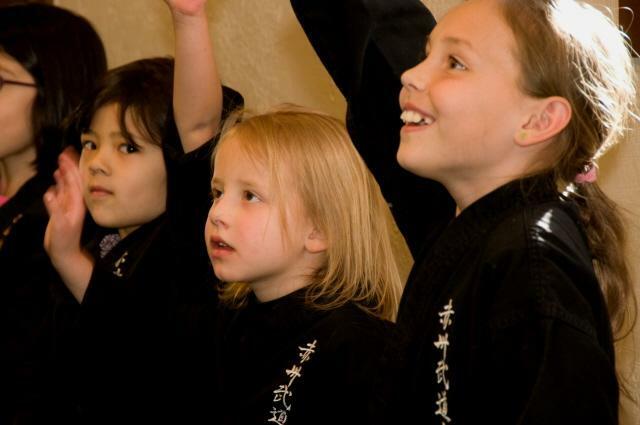 Martial Arts benefit children for a myriad of reasons, many of which have already been discussed. Below are a few specific examples of when we have observed martial arts helping our students. For example, two CAMA student’s lives were made easier as a result of training in martial arts. A first grader came to martial arts because he was being bullied in first grade. He was a dedicated student who rarely missed a class. Within a few years he became the number one ranked student for his age, in the state of Colorado, in football, and one of the highest ranked in the state for his age in baseball. Despite his dedication to both sports, his parents continually asserted that their child’s success in sports was due almost entirely to his martial arts training. It provided him with the confidence to do his best and it laid the foundation for his body to consistently move the way it was naturally intended to move, which allowed him to maximize his physical skills. This fundamental principle of natural movement is called Ri in Japanese and is at the heart of the CAMA curriculum. An elementary school teacher referred a student to us because he would refuse to participate in activities at school (including engaging hands-on science experiments). He shied away from conversations with other children and generally isolated himself from others. After only one year of martial arts training this student was participating in class, making friends and actively engaging others. This change in his self-confidence was not only remarkable, but it also transcended to other aspects of his life. He was a noticeably happier child. Years later, as he moved closer to earning his black belt, he continued to make huge strides, both academically and socially, and would even volunteer to assist newer students. His parents continue to express their gratitude for his martial arts training. It gave their child the tools and self-confidence he needed to succeed. Falling is a part of childhood. Unfortunately, when children fall incorrectly, they can easily break a bone. Therefore, it is crucial he/she learns how to fall correctly without getting injured. The following are two brief accounts of CAMA students who avoided serious injury by using the falling techniques they learned during class. A father came home just in time to see his son falling down their hardwood, oak staircase. During the fall, his son performed a front circle roll and landed on his feet at the bottom of the stairs. Amazingly, he suffered no significant injuries during the fall. A student was riding his bicycle when he was hit by a car. He flew off the bike over the hood of the car and onto the pavement. Thanks to his years of martial arts training, he instinctively did a front circle roll while impacting the ground and walked away from the incident with only a bruised hand. Children who pursue a life in martial arts have skill sets to prevent bullying and to effectively resist being abducted; they are confident and self-assured, minimizing predators from viewing them as targets. While these are lifelong benefits, they require an ongoing commitment to maintain. An easier and safer life is a journey – not a destination. Our goal at CAMA is to guide children through their own life journey while creating a habit of training in martial arts. CAMA students develop true sportsmanship by understanding that unnecessary aggression and competition are significantly less important than self-discipline, focus and effort. They also understand the attributes they develop at CAMA apply to all aspects of their lives. At the Colorado Academy of Martial Arts you will learn to challenge your personal goals and to achieve your best effort. You will also learn to help others do the same, creating real achievement and self-confidence.